Michigan voters strongly support greater improvement in the state’s schools, according to a survey conducted by Business Leaders for Michigan. Results of the survey were released Sept. 28. Despite their strong support for improvement, it seems that the voters surveyed do not have an accurate view of the true state of education in Michigan. 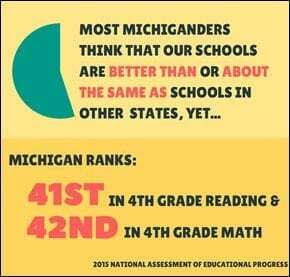 For example, Michigan ranks 41st nationally in 4th grade reading and 42nd nationally in 4th grade math, according to the National Assessment of Educational Progress. 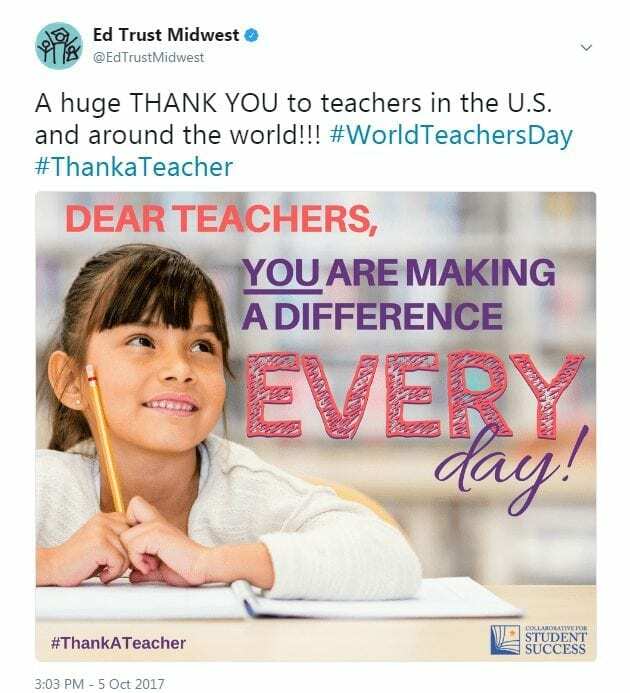 Survey results also show broad bipartisan support – 77.5 percent – for providing every Michigan public school with an A–F grade on their ability to educate their students. 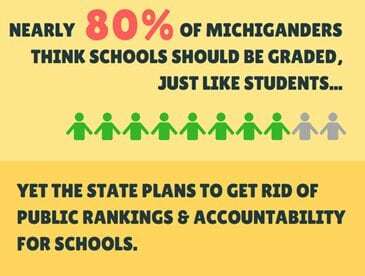 Yet in its most recent education plan, Michigan eliminates public rankings and accountability for student performance. State Board of Education will meets today, at 9:30 a.m. at Kent Intermediate School District in Grand Rapids. The agenda is available here. House and Senate School Aid Appropriations Subcommittees meet tomorrow, October 11, at 8am in rooms 402/403 of the State Capitol Building. Agenda: Quarterly reports on deficit districts.